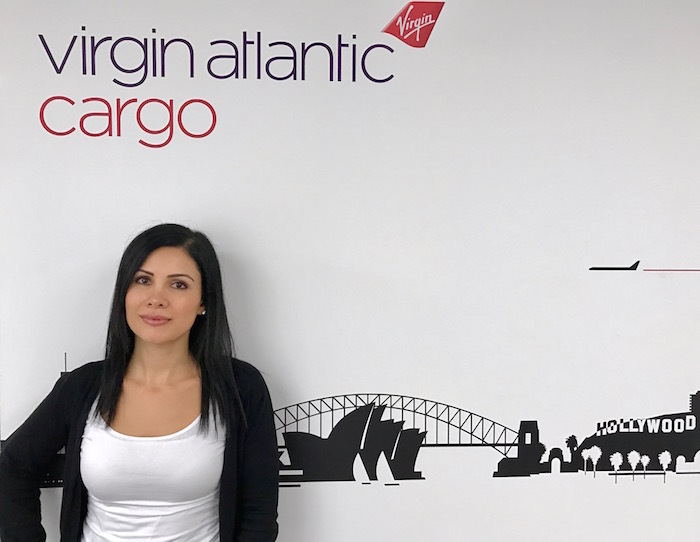 Virgin Atlantic Cargo has strengthened its team in Australia with the appointment of Amanda Matar as Account Manager – Sydney. Amanda joins Virgin Atlantic as the airline increases its long-haul cargo sales and management services for Virgin Australia with the launch in April of Virgin Australia’s five Boeing 777-300ER flights per week from Melbourne to Los Angeles. The two airlines have worked together since 2009 and signed a new long-term agreement in 2016. Amanda reports to Pip Palmer, who was promoted to Regional Sales Manager, Australia and New Zealand by Virgin Atlantic last year having previously worked for the airline in Australia in both customer service and account management roles. Previously, Amanda spent seven years with Megatop Cargo in Australia in import and export customer service and, for the last three years, as Export Manager. Earlier is her career, she was a Cargo Reservations Officer at Garuda Indonesia Airlines. Virgin Atlantic Cargo is also recruiting a new Account Manager – Melbourne to support customers based in and around the city.